Having one of the largest Chinese populations in the world, Thailand is another country that celebrates the Chinese New Year on a grand scale. Celebrated on Feb 5th, 2019 this year, the Chinese New Year in Thailand is best witnessed in Bangkok, and this year was no exception. 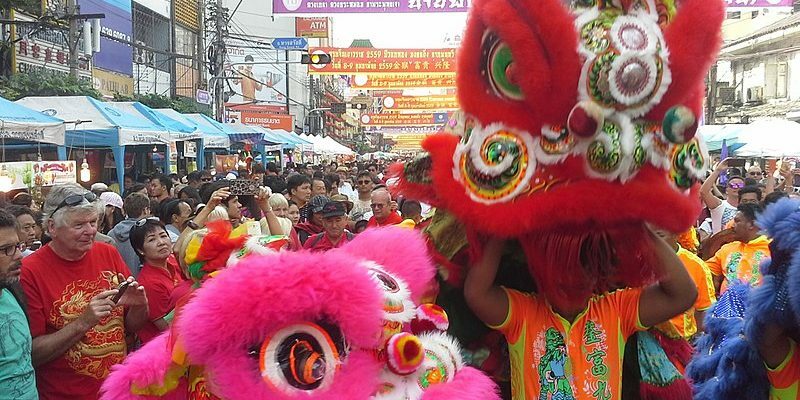 Mainly celebrated in and around the China Town area in Bangkok, the festival began with dragon parades and lion dancers, with firecrackers galore – said to ward off evil spirits. Colourful lanterns, street stalls and cultural shows were also part of the festivities. Hotels such as the Anantara Riverside Bangkok Resort is located in very close proximity to China Town and is an ideal place to stay at for those travellers seeking accommodation. Some of the best riverside restaurants in Bangkok are also located close by to the festivities.